Universal Studios Hollywood is located in Los Angeles, California. There are many different rides and attractions that are available at Universal Studios, but not all are the same. Each ride is based on one of Universal Studios’ many movies. Some franchises include Harry Potter, Fast & Furious, King Kong, Transformers, and many more. A popular ride at Universal Studios located within The Wizarding World Of Harry Potter would be “Flight of the Hippogriff.” During this ride, you are taught by Hagrid on the proper way to approach a Hippogriff and are able to soar through the air over the pumpkin patch and past Hagrid’s Hut. Adult riders of “Flight of the Hippogriff” must be at least at least 39 inches tall. Children that are 39-48 inches tall must be accompanied by a supervising companion that is at least fourteen years old or older. Another popular attraction at Universal Studios is the World-Famous Studio Tour. During the sixty minute tour, guests travel across thirteen city blocks and learn all there is to know about behind the scenes in the movie studio. Put yourself through the largest and most intense 3D experience and come face to face with King Kong, take a short boat ride and meet Amity Island’s favorite great white shark, or even get a close look at the Bates Motel. Many of the stores to explore are located within The Wizarding World Of Harry Potter section of the park. Get a magic wand of your very own from Ollivanders, buy dozens of different candies and other sweets from Honeydukes, stock up on joke gifts and other toys at Zonko’s Joke Shop, and explore many more fun shopping areas. A majority of the tasty eateries in the park are located in Springfield; the complete remake of the city of Springfield from The Simpsons. Some of the restaurants are the Krusty Burger, Moe’s Tavern, Bumblebee Man’s Taco Truck, Lard Lad Donuts, and more. Other restaurants that can be found in the park are Jurassic Café, Plaza Grill, Panda Express, French Street Bistro, Universal Tower Snack Bar, and many more. Located about eighteen minutes away from Universal Studios is the Rodeway Inn, Los Angeles. There are many guest amenities to ensure that you feel right at home during your stay. Some of these amenities include an outdoor swimming pool, complimentary continental breakfast, concierge services, and much more. 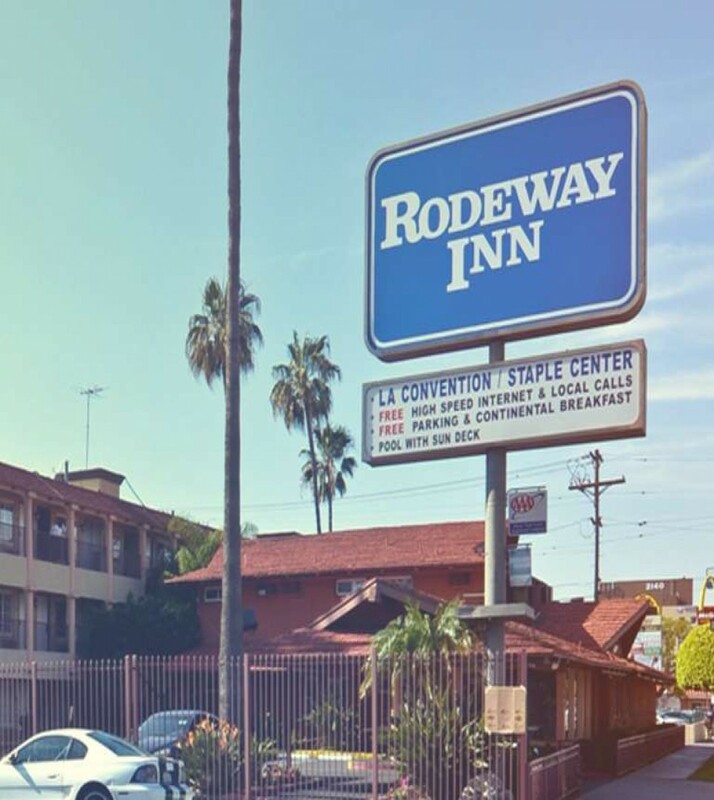 Book your stay at Rodeway Inn Los Angeles today and find the best rates on your room.